Spring and early Summer 2015! When I started writing this, (back in April! ), Spring had finally sprung on the farm and the new employees were starting to arrive! The Daffodil Festival was the start of the season and we were thrilled to have a little color back in our lives. Now it's June and the Strawberries are perfect for picking! We are starting to harvest field crops and the tourists have begun to arrive. 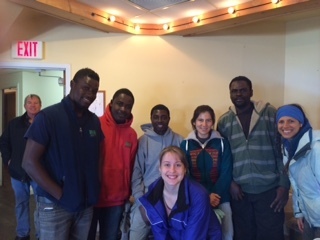 Our international agricultural interns on the Greenhouse, Farm Grown and Garden Center teams arrived in March and April and it has been very hectic since then recruiting new Farmily members (and some returning to us as well!). I think we will finally be fully staffed when the last few people arrive at the end of the month! We now have 111 team members and I expect to get to 117 by July 1st. 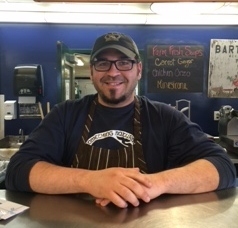 We are happy to announce that former GC employee (and forever Farmily member) Joan Skar and her partner Jeff Henderson have moved their business, Nantucket Fresh Catch, into the the Market! We are excited to be able to partner with them and increase our offerings to include fresh fish! We are now able to offer a Steamed Lobster Dinner in addition to the Prime Rib and Chicken dinners. Yum! Get to know your fellow Farmily members! Carlene Phillips-Peters was hired in February as a Cashier Supervisor and is doing such a great job we just brought her on Full-time Year-round. Congratulations on joining the Farmily Year-round! We are thrilled to have Rachel Amaral (formerly Fabiszak) back on the team! Rachel worked for us for 5 years, first as a Cashier Supervisor and then as a Stocker Supervisor before leaving to try another experience. She missed us so much she's come back to work in the Garden Center as a Supervisor. Welcome Back! Mayra Toro Herrera from Columbia and Germana Totti Tomba from Brazil were the last to arrive on the Greenhouse team in March. 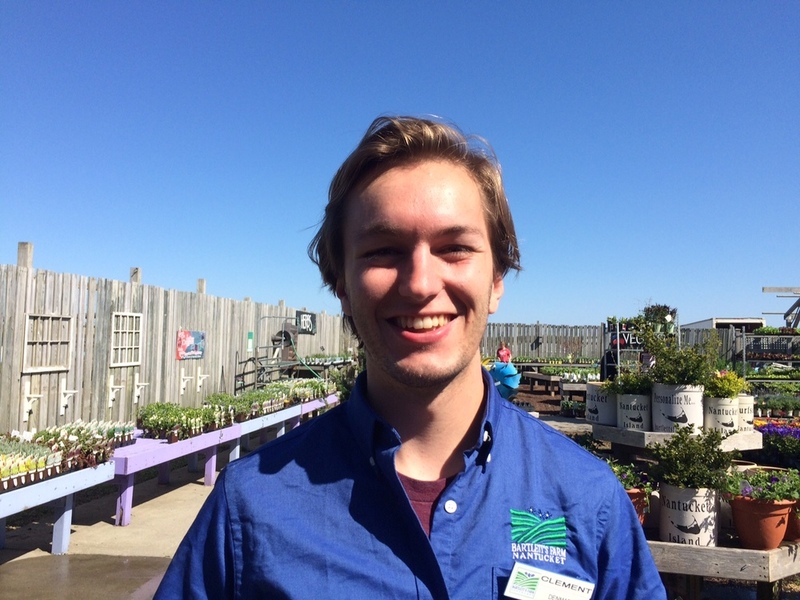 David Holland-Leggieri is working in the Garden Center managing Blooming Creations. Jovanilson "Jova" Prestos dos Santos is from Brazil and working in the Garden Center. We recently received news that Fernanda's H1B visa was approved which means she'll be able to be with us until at least September 2018!! Congratulations Fernanda!! The kitchen Team is happy to be filling up and all these people were referred by current or former employees! "Stehanie" referred Johneen Dennisor, Collin Hatfield was referred by Cody Marsh (who was referred by Mark Smith last year) and Keisha Kelly (who goes by Kelly) was referred by Wheatle. 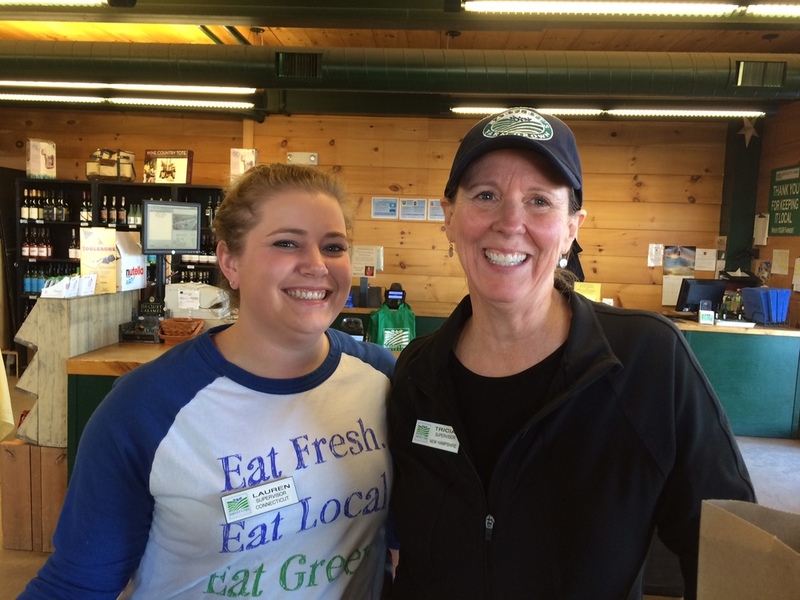 Thanks for spreading the word about how great it is to work at the Farm! 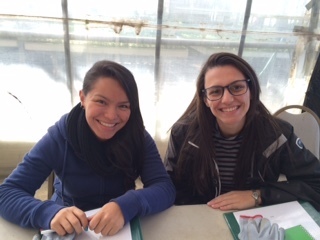 Carolina and Beatriz, (previously pictured above) are on the Farm Grown Team. Anna Laura de Paiva is also from Brazil, but on the Greenhouse Crew. 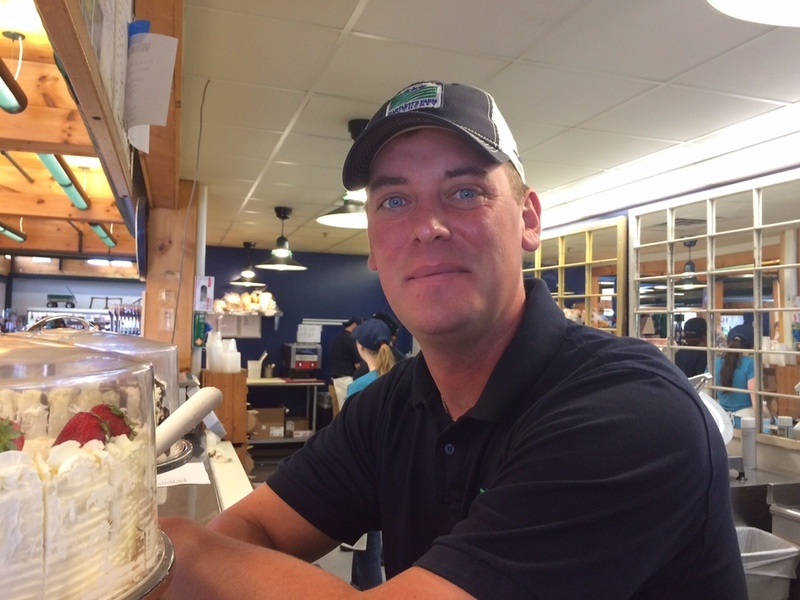 Peter Bopp is from Nantucket and is one of the 7th generation of Bartlett family members working on the Farm. He is a proud member of the Farm Grown Crew. 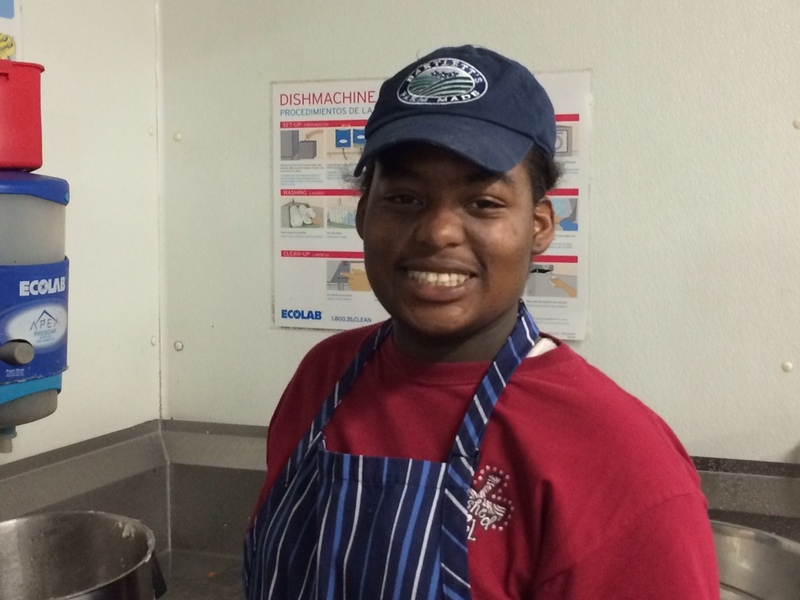 Adia RaSun is from Chicago, but has worked in kitchens all over the the US. We are happy to have her as a cook this season. 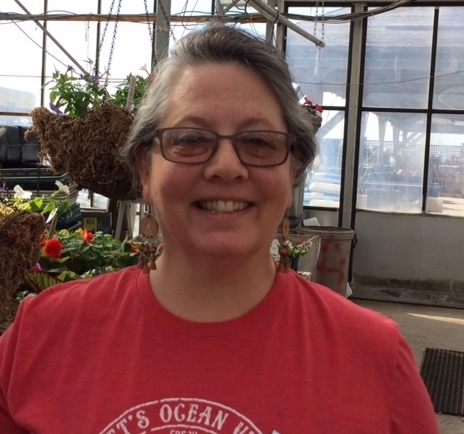 Mary Michetti is from Nantucket and will be going to work as a pre-school teacher at Small Friends when she is finished planting window boxes in Blooming Creations. Elise "Ed" Vallardi from Italy is back for her 2nd year with us on the Sandwich team. Welcome back, Ed! 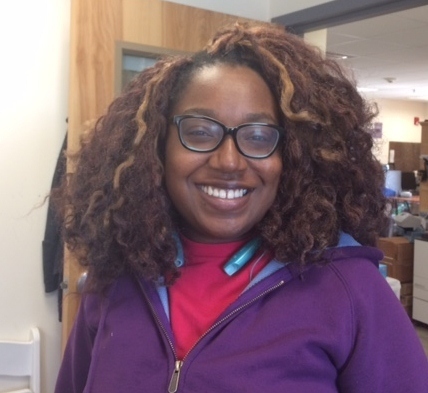 You may recognize Cordia Green from the Cape Air counter at the airport. We are happy she has joined the Farmily as a Kitchen Counter Supervisor full-time, year-round as well. David "Winks" Winking is back leading the Cooler Team in the Market this season. Zach Knights has joined the team full-time year round in dual role. He is the Sous Chef and also Housing Supervisor, helping to set up and maintain the housing. Will Sinnott also joined the year-round team and while he spent a lot of time on the counter this winter, he is the Sandwich Team Leader this year. 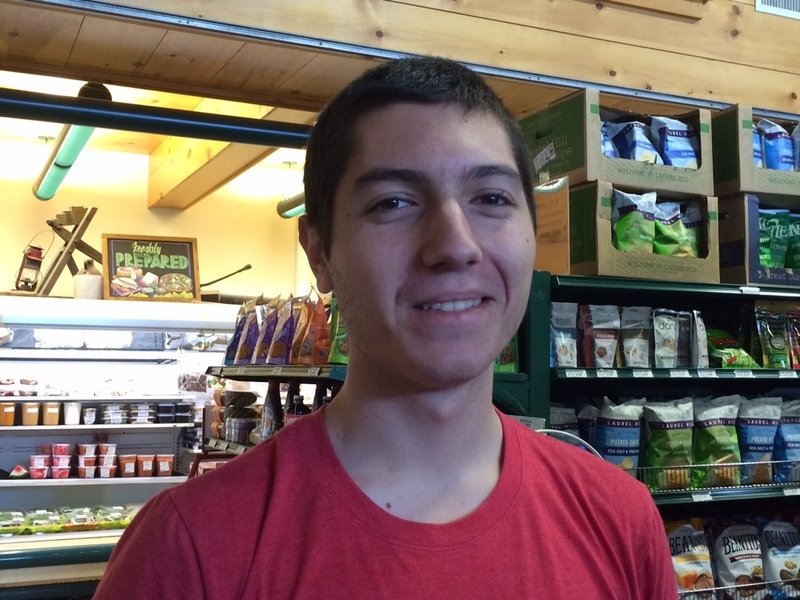 Nick Delacruz is a Stocker Supervisor and also joined the year-round core staff this spring. 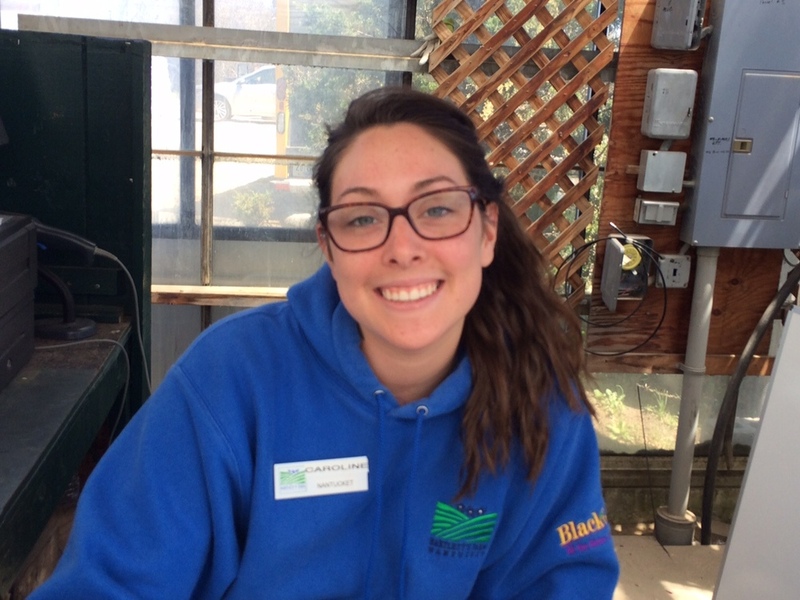 We were sad to lose Kayla Spano to a Landscaper this season, but we hope she'll come back in the Fall and make some guest appearances. 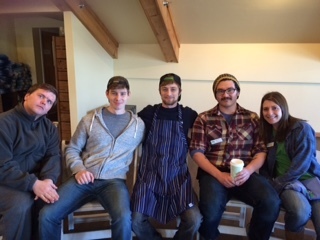 Josh Norton worked as a Baker at the Farm for over 3 years and we were sad to see him go at the end of March. 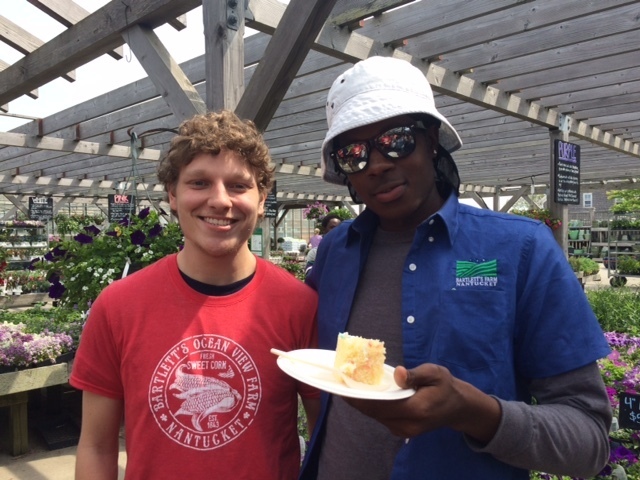 We wish him all the best as he pursues greener pastures in landscaping. Don't be a stranger! 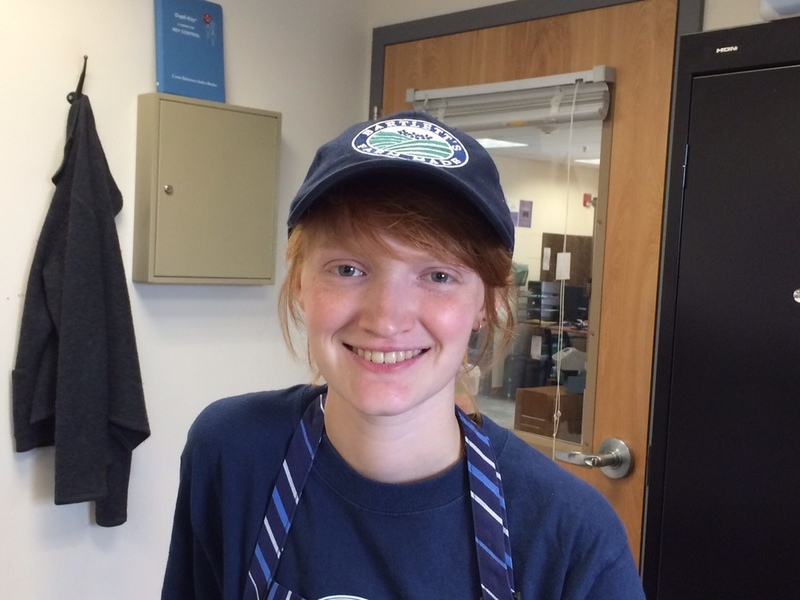 You'll see Lauren Keereweer some afternoons at the registers as a Cashier Supervisor, but you may also see her Delivering Bread from Something Natural, which is her full time job. 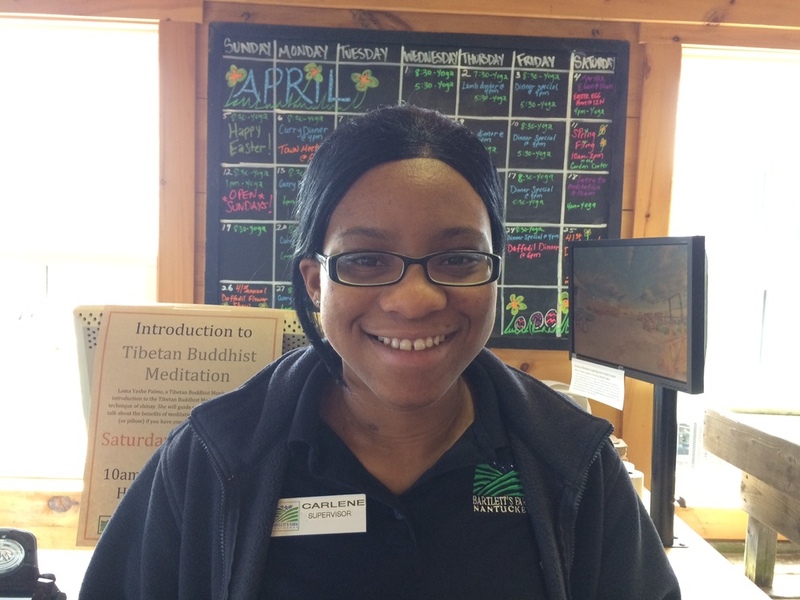 We are happy she'll continue to work part-time during the busy season! Tricia Mills has joined the team as our Old South Wharf (OSW) Manager. OSW is up and running for the season! 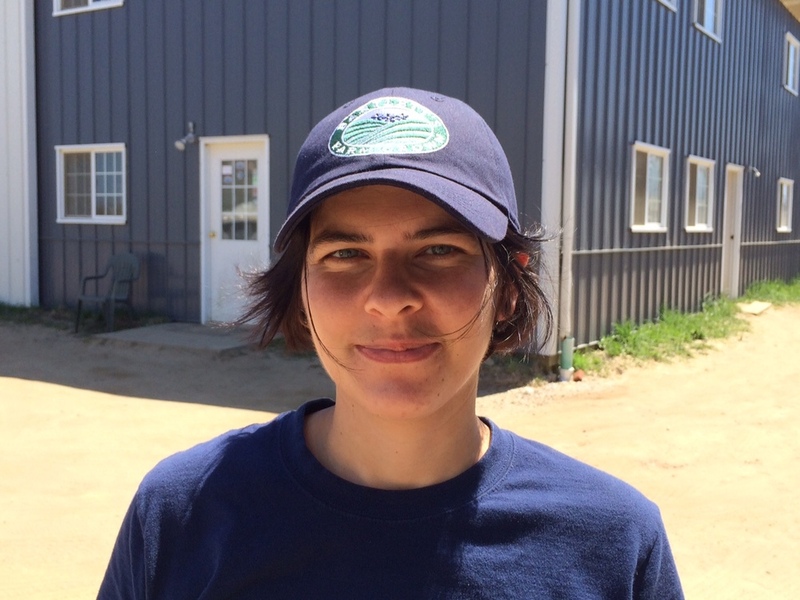 Sophie le Bris is from France and is on the Farm Grown Team. Antonio Mastrodomenico is from Italy and works in the Garden Center. Julia Godoy Alexandrino is from Brazil and rounds out the Farm Grown Crew. Caroline Borrelli is back in Blooming Creations this summer! Krystyna Kwasiewska is from Poland a Farm Grown intern. 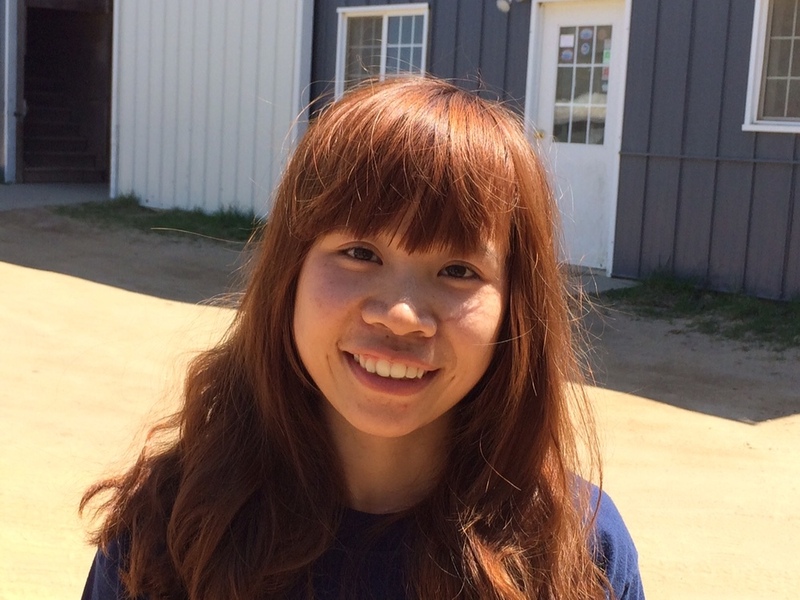 Hien Nguyen is from Vietnam and also a Farm Grown Intern. 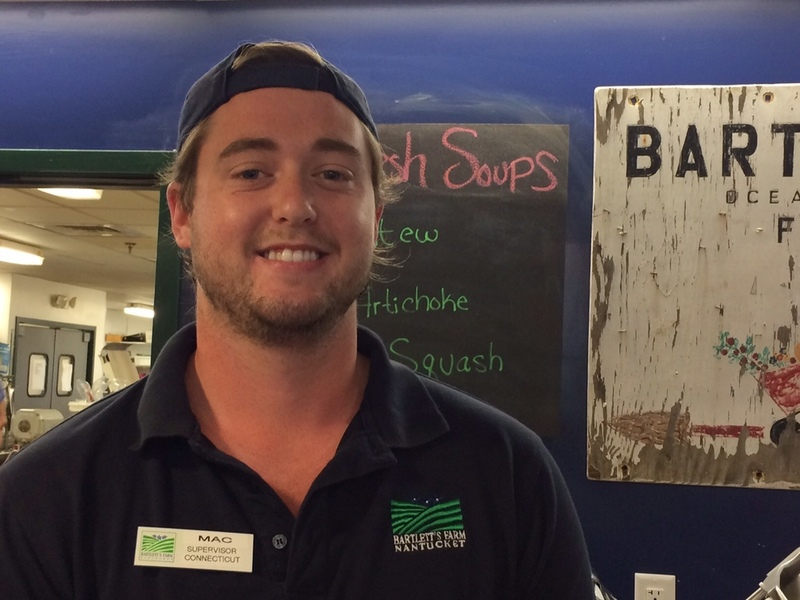 Judson MacPherson Koss goes by "Mac" and you can find him at the Kitchen Counter where he works as a Supervisor. We are very happy to have Andrea Winking back with us in the bakery! Andrea was in Colorado doing an internship over the winter. Also in the bakery this summer for his first season is Cam Evans! Denis Godzin is back with us for a second summer from Moldova! Denis is working in the kitchen as a prep cook. Eamonn Hoare is from England and joined our stocking team this summer. Dylan Johnson joined the receiving team. Ellen Greene from Ireland joined the team as a produce stocker. 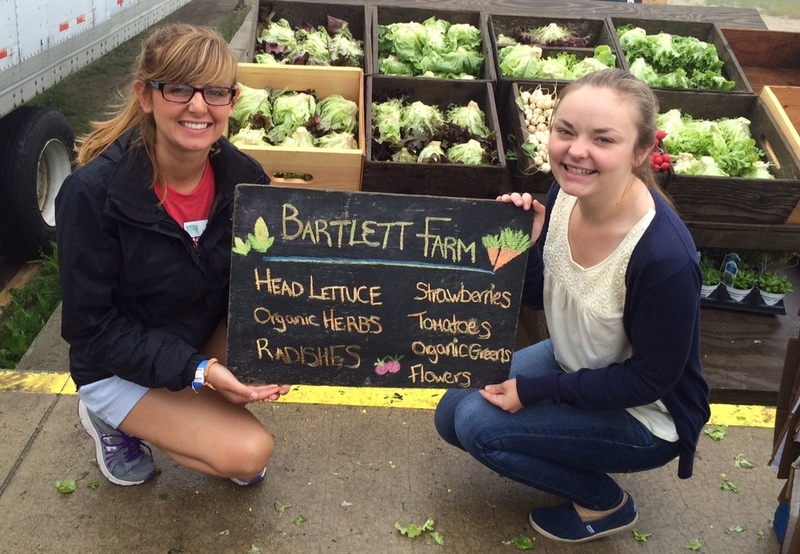 It is their first summer working at Bartlett's Farm and we are sure they will have a great one! Natalia Luposor from Moldova has joined us this year as gift assistant! Zach Dean is working on our Sandwich Team. 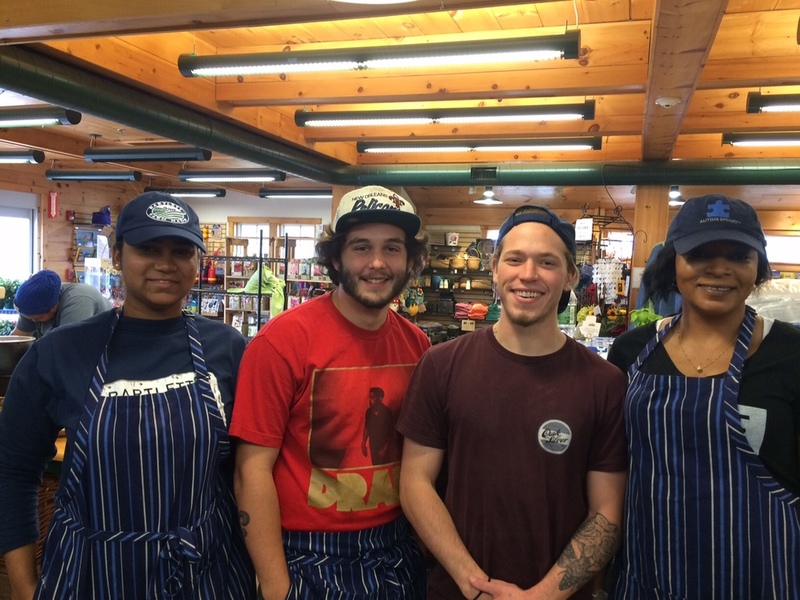 Working with us on the deli counter this summer are Ian Costa, Cynthia Rubio and Lucy Flinn. Also on our deli counter this year are Ava Champion and Catie Bolt. Working as part of our register team this year are Ashley Harwood, Jessica Wild, Mary Lynch and Sarah Harthun! 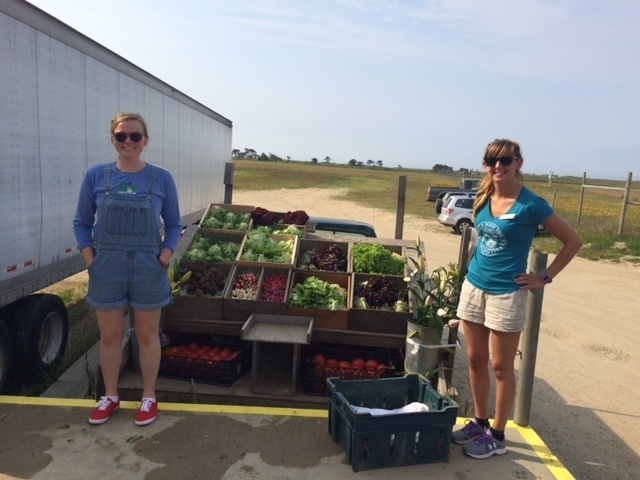 Jessica and Mary were promoted to cashier supervisors within their first week of working at the farm. Congrats Jess and Mary! Back with us for a second summer is Laurie Mcveigh from Northern Ireland! She is back joining us as a Inventory Supervisor. With her is Rajive Hayden (Bob) from Jamaica who is working in Inventory as well. You can usually find them in the basement! 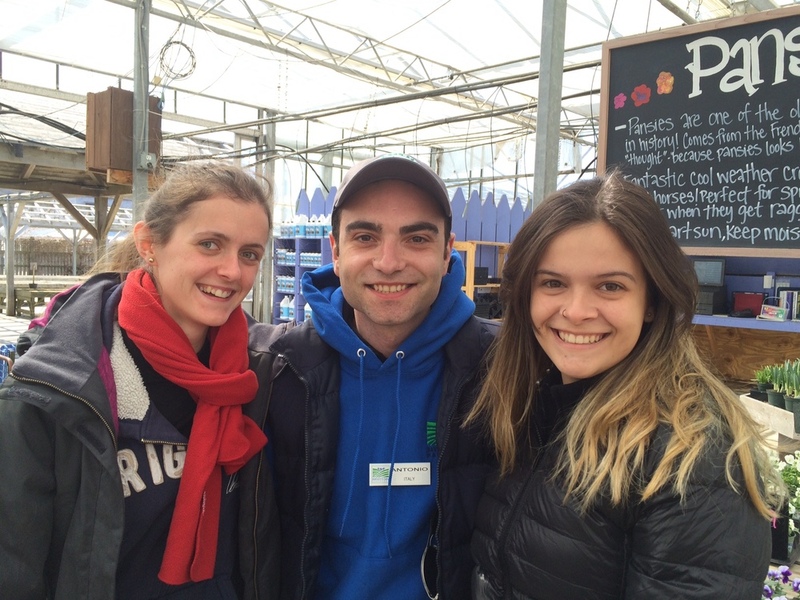 Joining us on the market this summer as stockers are Kristian Yonov from Bulgaria, Rachel Courtney from Northern Ireland (Friends with Laurie!) and Kelly Erwin from MA. 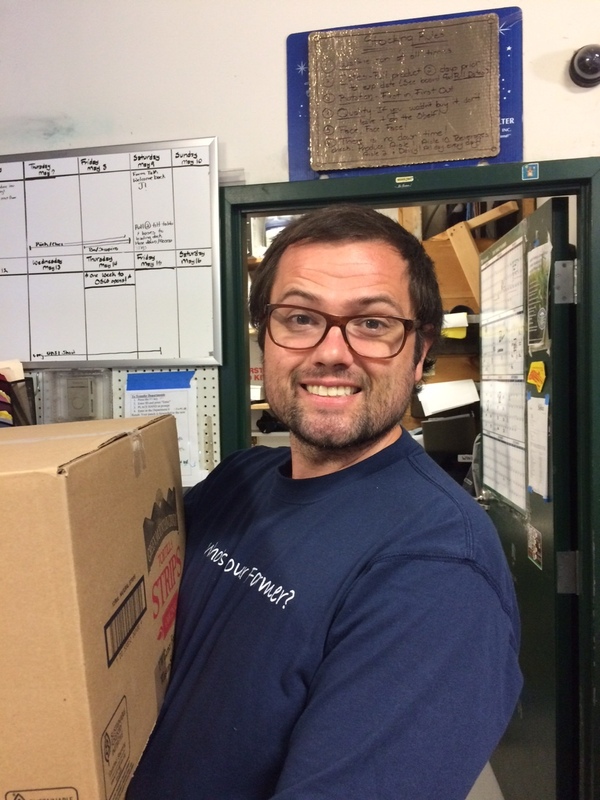 With our stocker supervisor Nick is Akeem Manhertz who has joined the team as a produce stocker. Akeem is also Cordia's son! 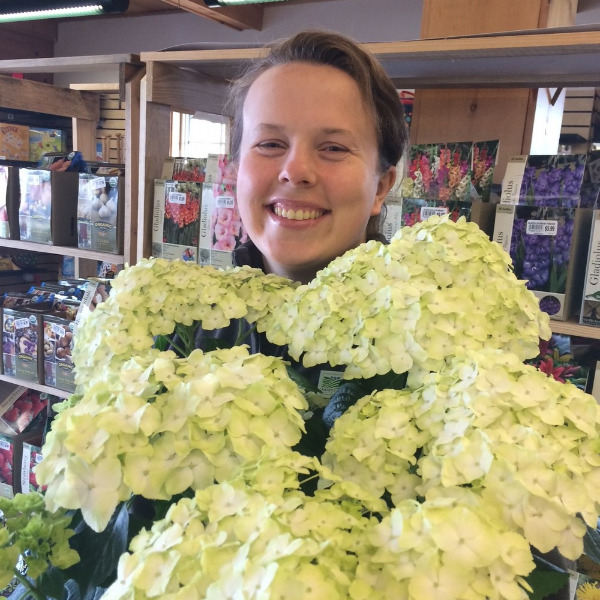 Clement Bohr is from Denmark and the US and is working in the Garden Center. Ted Lothian is from Nantucket and when he's not at the Farm, he's working as a TA at the Elementary School. 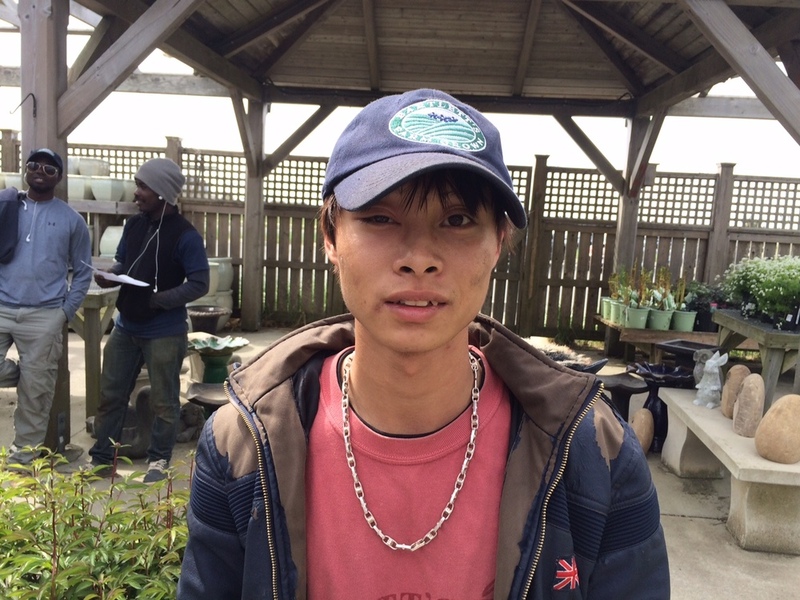 Tan La is from Vietnam and works on the Farm Grown Crew. Calen Spoering is working on our sandwich team this year. 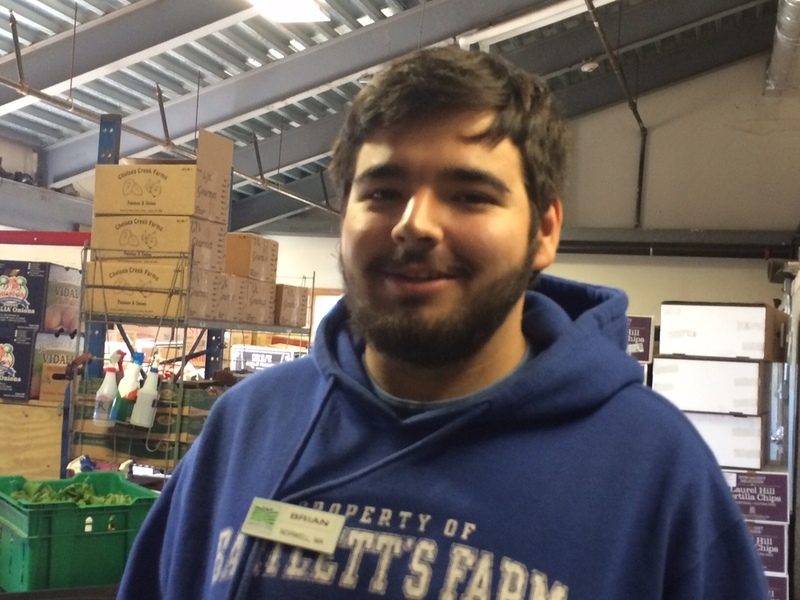 With him is Yanick Scott who is back with us for his 3rd season and is working in the Garden Center. 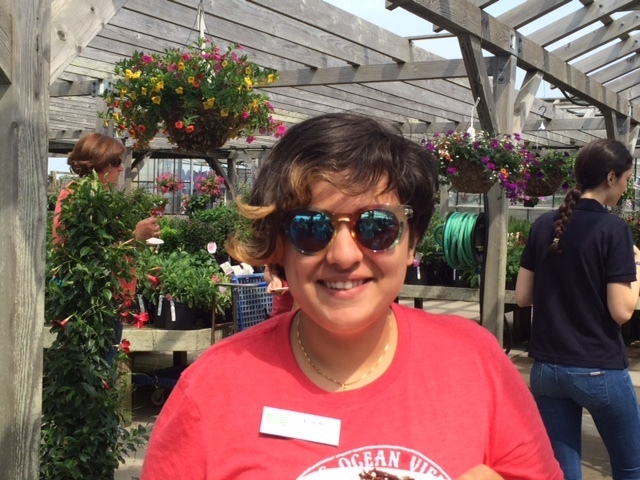 Eva Sharma has been helping us out in the Garden Center but will also be working on our farm truck in town when it gets busier. 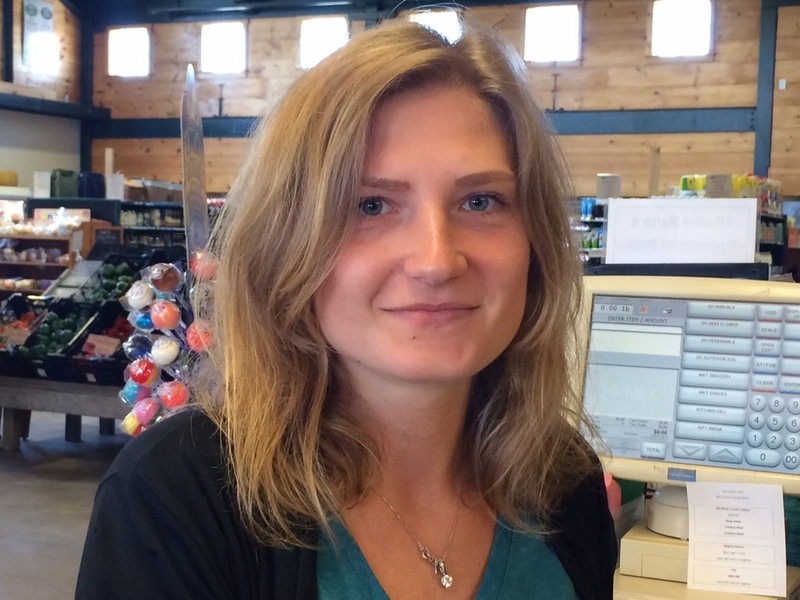 Sasha Baklaieva from Ukraine worked with us in 2013 as a Cashier Supervisor. We missed her last year, but are so glad she's returned for 2015. Alice Townsend was kind enough to make a guest appearance to help train Alex Sizer who will be running the Town Farm Truck. Lydia Gullicksen also helped train Alex and she will be running the 'Sconset Truck again this year. Brian Peterson is stocking in the market and doing deliveries for our OSW store. Kristian Yonov is from Bulgaria and is stocking in the market as well. 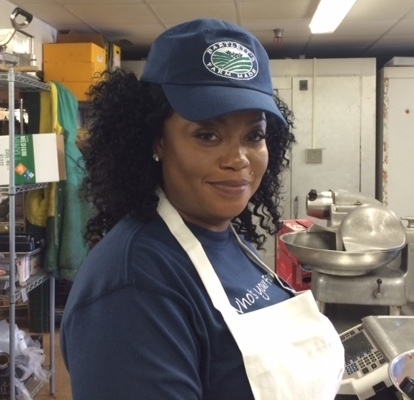 Lashara Thompson is working as a Dishwasher in the kitchen. You can can call her "Sug" as in Sugar. 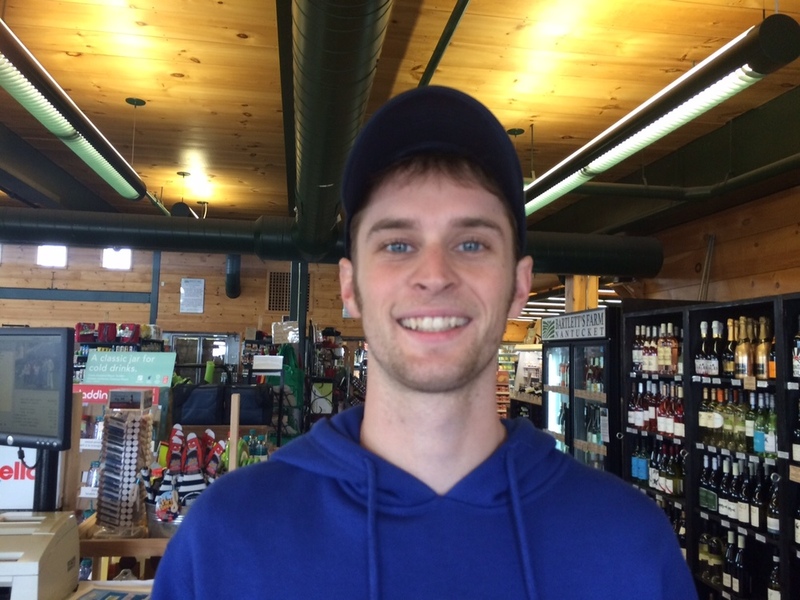 Wade Cernohous joined us in May on a full-time, year round basis as a Supervisor at the Kitchen Counter. We are happy to have him on the year-round team! 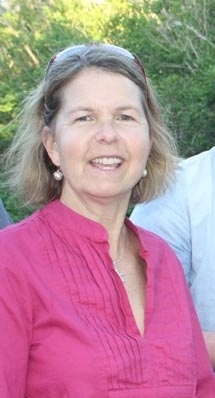 And it is with sadness that we announce that Sarah Scheide, our Customer Service Manager, has decided to retire this July. We are so thankful for all the hard work, commitment and dedication she has shown over her 4 years with us. She has raised the bar for customer service across the Farm. While we are sad for our own loss, we are happy for Sarah to begin this new chapter of her life. She is leaving us in good hands knowing that her protégé, Whitney Butler, will be returning to lead the team. 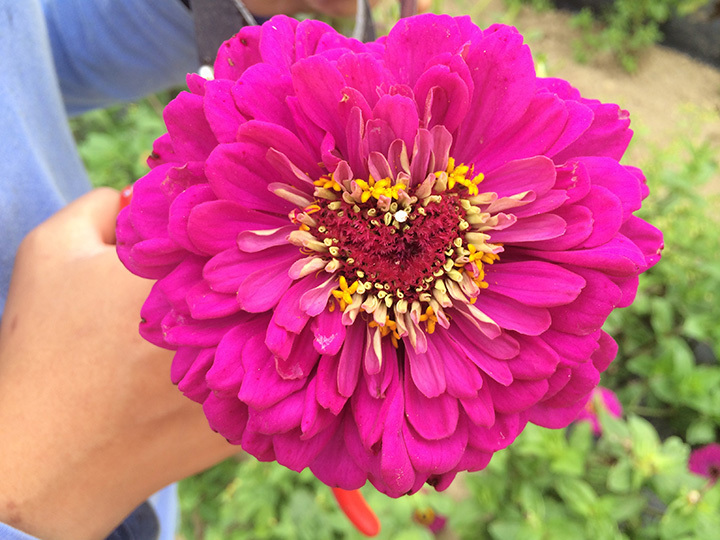 We know Sarah will be busy with family obligations, but in the words of Hans Christian Anderson, "Just living is not enough... one must have sunshine, freedom, and a little flower." We wish you lots of sunshine and freedom, and hope you come see us when you get your flowers! 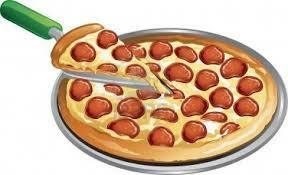 Join us for our annual season kick-off Pizza Party! Come have fun and meet the rest of the farmily ! 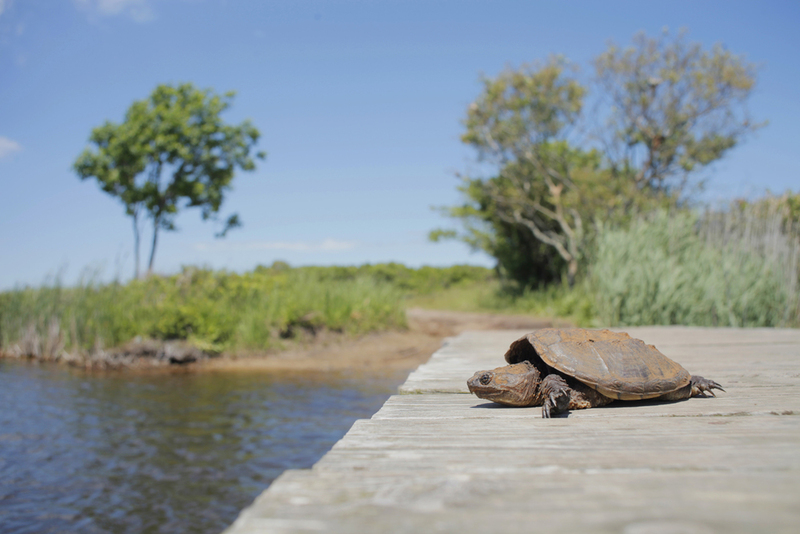 It is now June which means the farm and the island will be getting a lot busier! 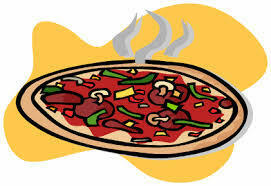 This also means that there will be lots of fun cool activities and events happening that you should check out! 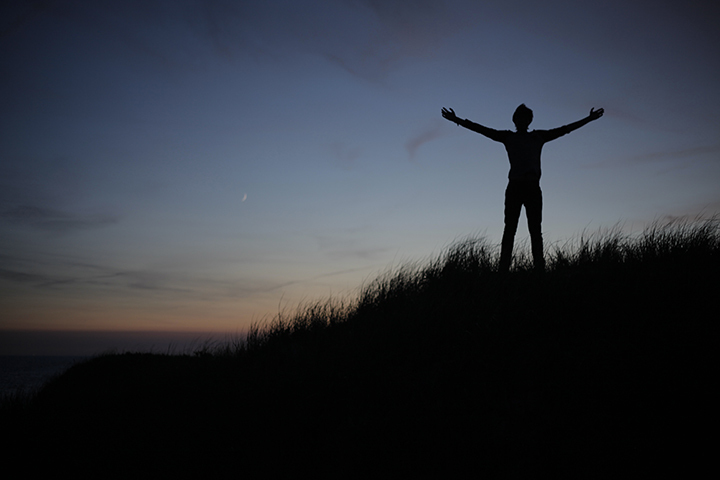 Starting on June 24th and running til the 29th is the Nantucket Film Festival. Experience preview showings of films from feature movies to documentaries. The program for the festival can be found here and tickets can be found here! 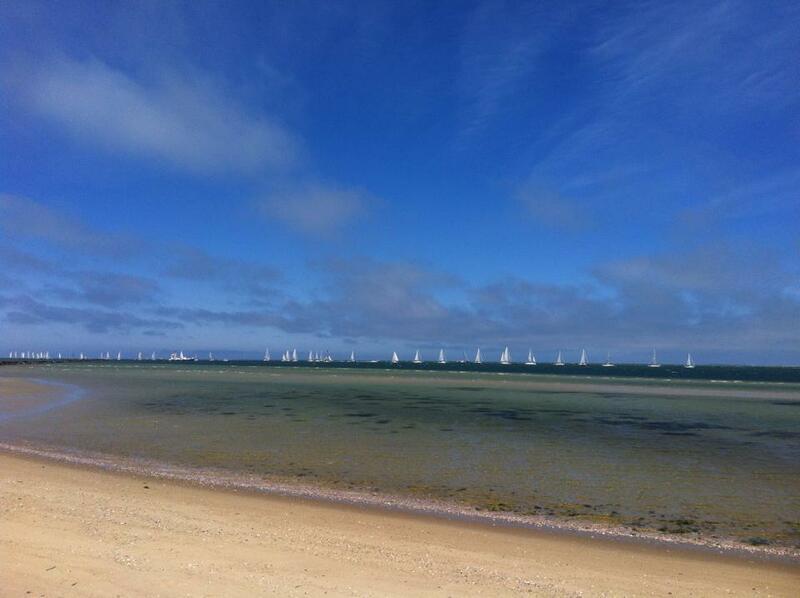 I can’t believe it’s approaching a year since I left the UK for Nantucket, it still feels like it was last week. I’ve recently started a new job as a producer for a really cool film company, I’m enjoying it a lot and the people I’m working with are really lovely (not as lovely as the Bartlett’s team though, obviously!). Sunday Dinner with the Morgans (The film which we completed as part of our final year at Film School) has been doing really well, after finishing our time traveling film festivals across America, we have returned to the UK and been part of a number of film festivals here, recently winning a ‘Royal Television Society’ award, which is one of the highest student accolades in the country. Safe to say there was quite a celebration after that one! Currently the Director, Alex (Forbes, far left) and myself are forming ideas for the next short film that we want to shoot over summer time. 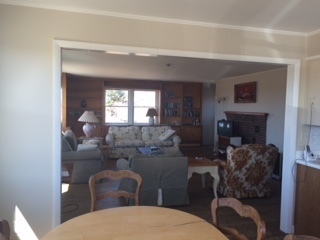 The dream is to use Nantucket as a location, maybe if the budget allowed it! It’s great to hear what an impact ‘Look Busy' (the film that we made during our time on the Island) has been having on the new applicants to the farm, I feel like the fun we had at Bartlett’s shines through in that film and it’s great to hear people responding to that! 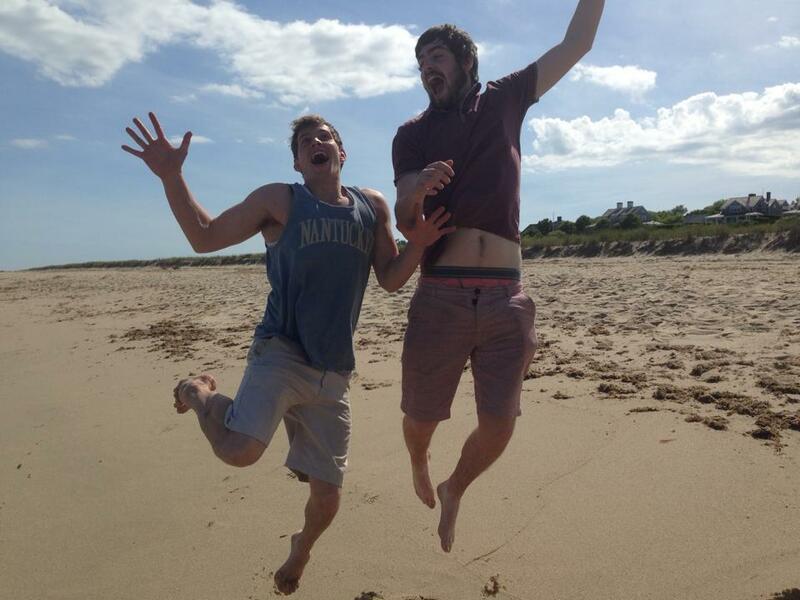 Colm and I spent 11 days in South Africa. 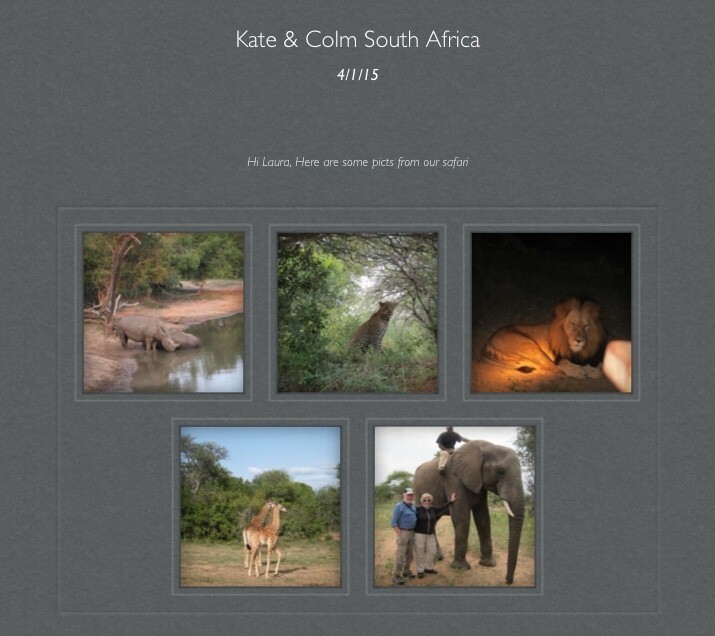 We were 5 days in Cape Town and 5 days on safari in Krueger Park. The trip was amazing with the safari being the highlight of the trip. 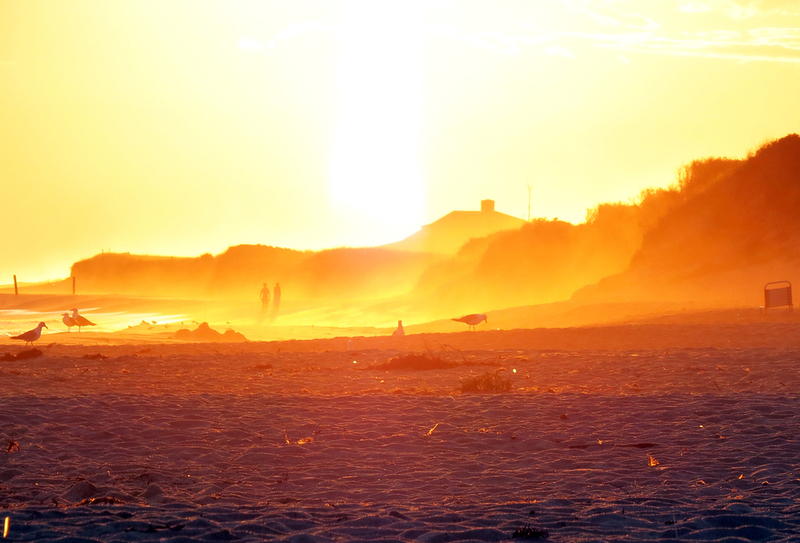 Everyday we would go out at 6am until 9am, and again from 4 to 7pm in a Toyota Land Cruiser. We had a ranger and a tracker and drive into the bush. We saw rhinos, elephants, giraffes, kudos, warthogs, prides of lions, leopards, cheeta, monkeys, birds, hippos and hyenas. To be 6 feet away from these animals was amazing and to see them in their natural habitat. I kissed an elephant, held a chameleon in my hand and was taught how to identify animals by their poops. I would recommend for anyone to put this on their life’s list. 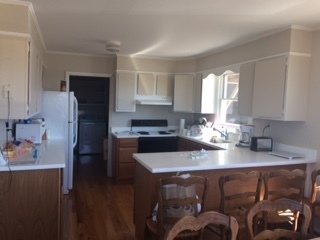 There were a lot of housing projects this winter, but LLenroc made out the best, with all new windows, a new kitchen and makeover paint job. In case you didn't already know, "Llenroc" is Cornell spelled backwards. Cornell University is where Phil, Dorothy and John went to college, and Llenroc is where the Bartlett's lived as a family growing up! Share your news with us! Let us know what you are up to! email Laura to share your story and pictures!